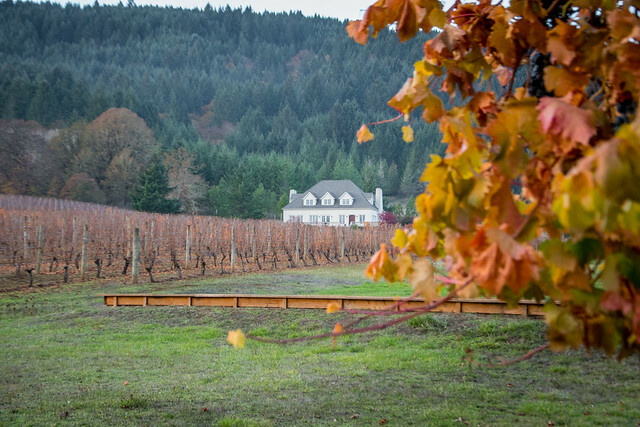 Did you know our Cascadian neighbours to the south have a rich wine country, nestled between craggy basalt mountain passes and lush valleys dusted with sea spray from the rugged coast? 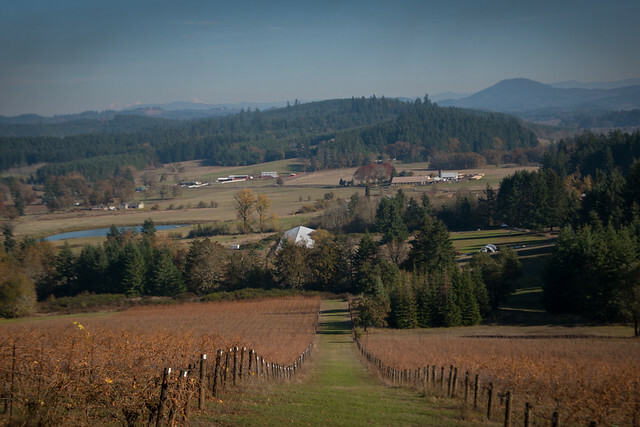 This season John and I got to experience the Willamette Valley, Oregon’s leading wine region, which is home to 500 wineries (within 150 miles) and recognized as one of the premier Pinot Noir producing areas in the world. 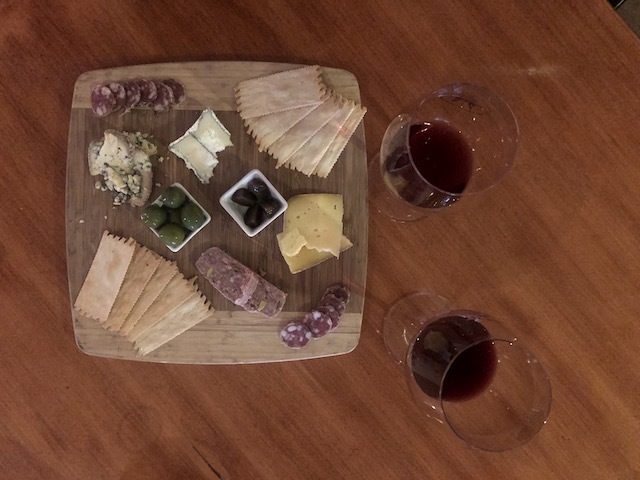 “Every molecule from our wine is from our vineyard,” said proprietor Dan Chapel when John and I visited his tasting room after a hike in the nearby Beazell Memorial Forest. 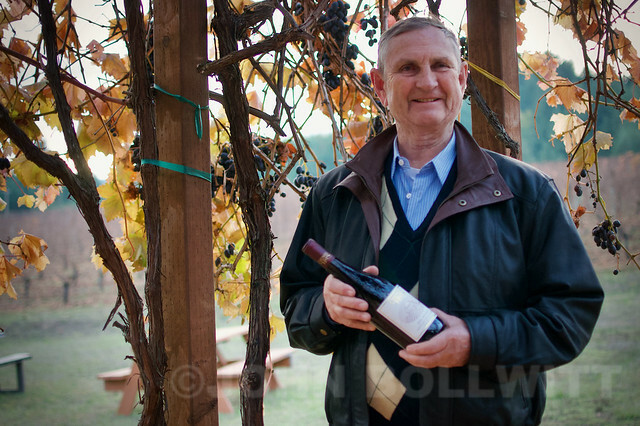 Dan’s a retired chemical engineer, and he took over an abandoned vineyard 18 years ago with his wife Nancy. This dry farm (with no irrigation) is focused on sustainable practices, with Salmon Safe run-off certification and LIVE (Low Input Viticulture and Enology) certification. With a north/south slope vineyard, volcanic basalt soil and abundant rainfall, Dan’s produces wines that are silky smooth, including a luscious Chardonnay that John – who dislikes Chardonnays normally – loved. In fact we brought home a bottle of the Bard Chard – since the Shakespearean reference appealed to me too. This countryside tasting room offers plenty of opportunities to picnic, relax and explore. 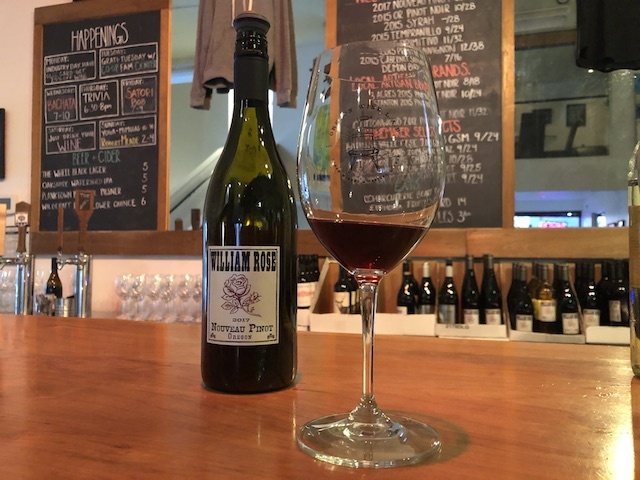 Mark Nicholl from The Oregon Wine Lab doesn’t own any vineyards, but what he lacks in acreage he makes up for in a wide selection of wines that celebrate the very best of the Willamette Valley, under the brand William Rose. 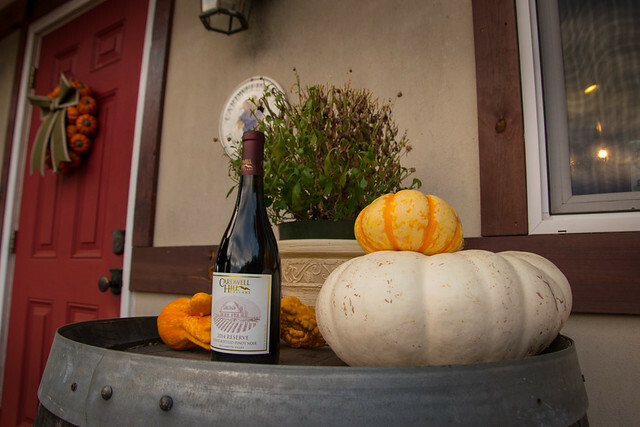 Sourced from the Willamette Valley, Umpqua and Rogue Valleys, William Rose varietals include Rhône-style Syrah-based red blends, dry Riesling, Sangiovese Rosé, and beyond. Originally from Adelaide, Australia, Mark prefers to take a non-interventionist role in winemaking. Just ask him about it! He’s happy to guide you through his robust catalogue if you catch him in the tasting room. Visit the Oregon Wine Lab to completely geek out on wine and winemaking with Mark. Enjoy a charcuterie board and board games, and hang around for Trivia Night after you have some take-out supper from the city’s best food truck – Da Nang Vietnamese Eatery- parked out front 7 days a week. John and I pulled up a seat at the bar and enjoyed their tasting menu. They also had a local wild mushroom soup on special but we ordered a truffled brie cheese plate. We were the first ones to arrive at about noon on a Sunday and by the time we were done our Chardonnay tasting, the room was filled with wine club members – membership has its benefits! The sun was shining on the patio, and the 30 year old Pinot Noir and Riesling vines were thawing out as the shade retreated across the valley. 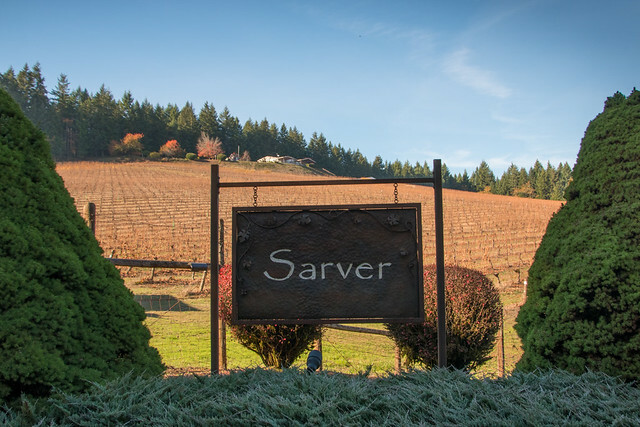 Sarver’s Syrah and Chardonnay are produced with grapes from other vineyards. To this day I regret not trying that mushroom soup! 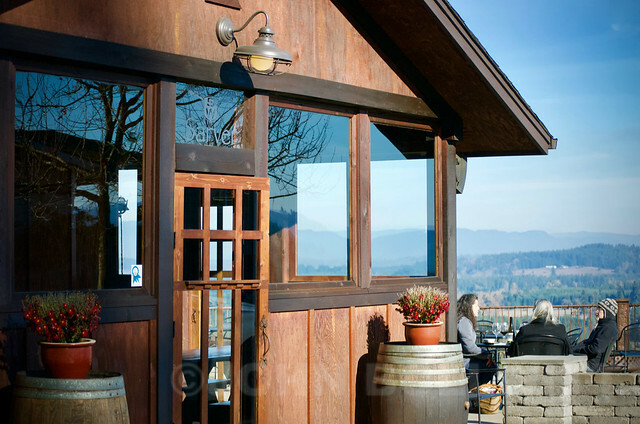 Visit Sarver for a delicious snack, gorgeous views, and a glass of classic Oregon Pinot Noir. 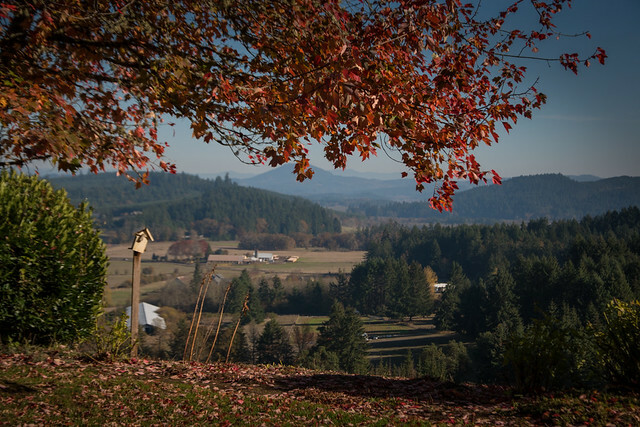 Follow #OregonWineTrav on Facebook, Twitter, and Instagram for more info and to plan your visit to this Pacific Northwest wine region. Trip sponsored by Willamette Valley Oregon Wine Country tourism partners & Eugene, Cascades Coast. Views are my own.